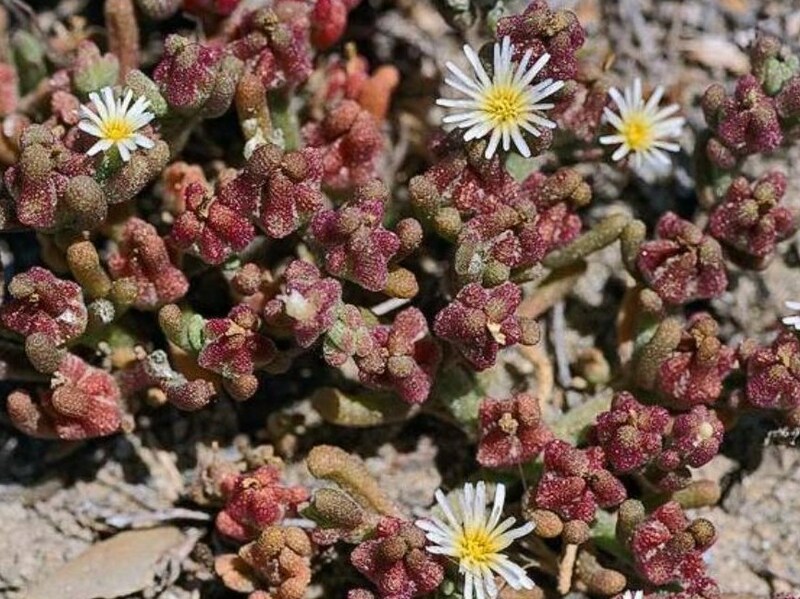 Mesembryanthemum nodiflorum (slenderleaf iceplant) is a herb/ (family Aizoaceae) with white to yellow flowers and narrow succulent-like leaves found in the San Francisco Bay area, Channel Islands, central valley, desert ranges and south coast ranges of California. It is native to southern Africa. It favors wetlands and dunes. It propagates by seed which is dispersed by water and adhere to the soil surface. Grazing and human activities also aid in dispersal.